If you were to land in space what’s the first thing you would do? Build a bowling alley of course and that’s the theory in Space Bowling, play some ten pin bowling in outer space however due to the gravitational pull you will find it very hard to those strikes, double strikes and turkey’s! 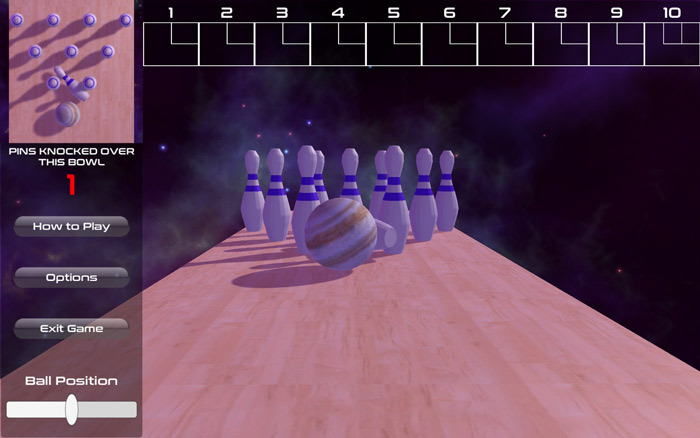 Ten Pin Bowling Games are fairly hard to come by these days but nearly always tend to be fun so we had high hopes for Space Bowling but the fact the ball slows to almost a halt before it even gets to the pins due to we guess the gravitational pull but this takes all the adrenaline and fun from the game especially when you think you’ve lined it up just right to get a strike only to see your ball only manage to knock over the front two pins and stop, to give the developer their credit it looks good for a free bowling game but the game play is so slow it gets very boring and it is almost criminal the fatc that there is no option to play with a friend in a game of bowling just putting an extra frame board in surely would have been a logical decision. However playing with a friend might be even slower so perhaps not implementing a multiplayer mode was the way to go. 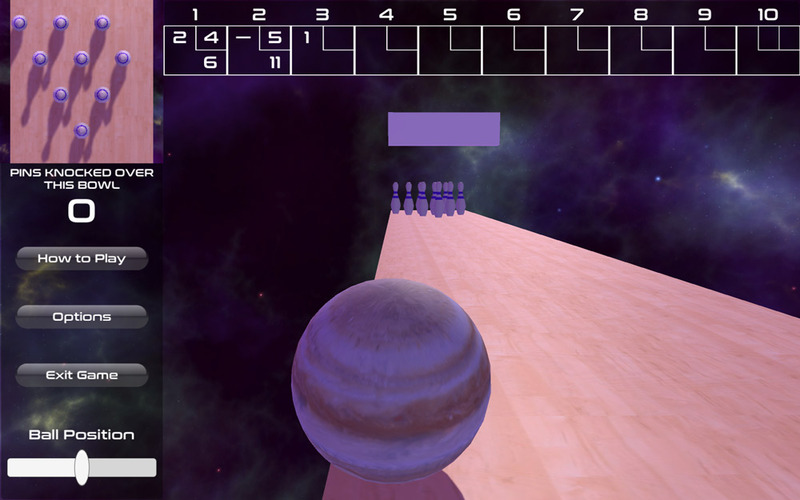 Sadly we’d have rather had a good bowling game on earth than a slow one in space. 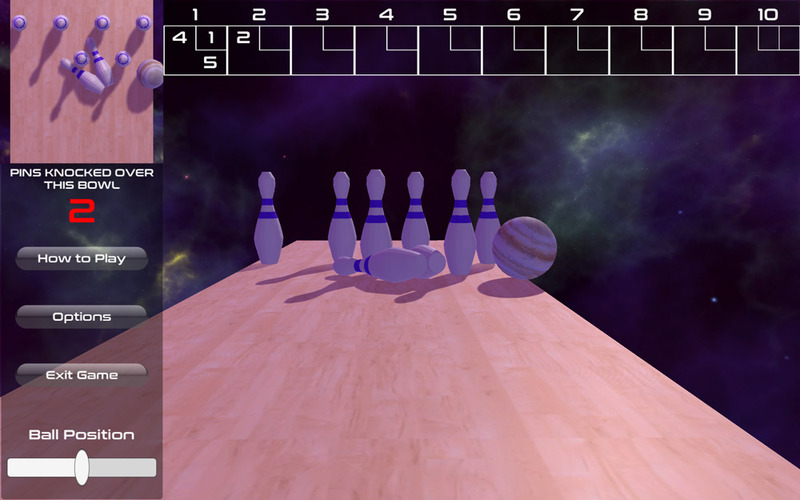 You can download Space Bowling here for free.